Edge is a provider of managed cloud hosting solutions tailored for demanding businesses. Listed for 5 consecutive years on Inc’s list of 5000 fastest growing US companies they are successfully catching up to the heavyweights and outgrowing their shoes several pairs at a time. This called for creating a brand environment which would reflect their expansion on one hand and accommodate future growth on the other. Managed hosting – a highly technical service often meant for the not-as-savvy audience. We learned that the sheer amount of insider nomenclature is often used to discourage and create a fear-based narrative, where the hosting company in question is the only redeemer. On top of that, the market communication revolves entirely around the indispensable service standards: security, support, uptime, etc. – all points of parity. In order to differ, hosting companies often focus on one of them and push it to the limit, while the customer is still getting more-or-less the same service everywhere. 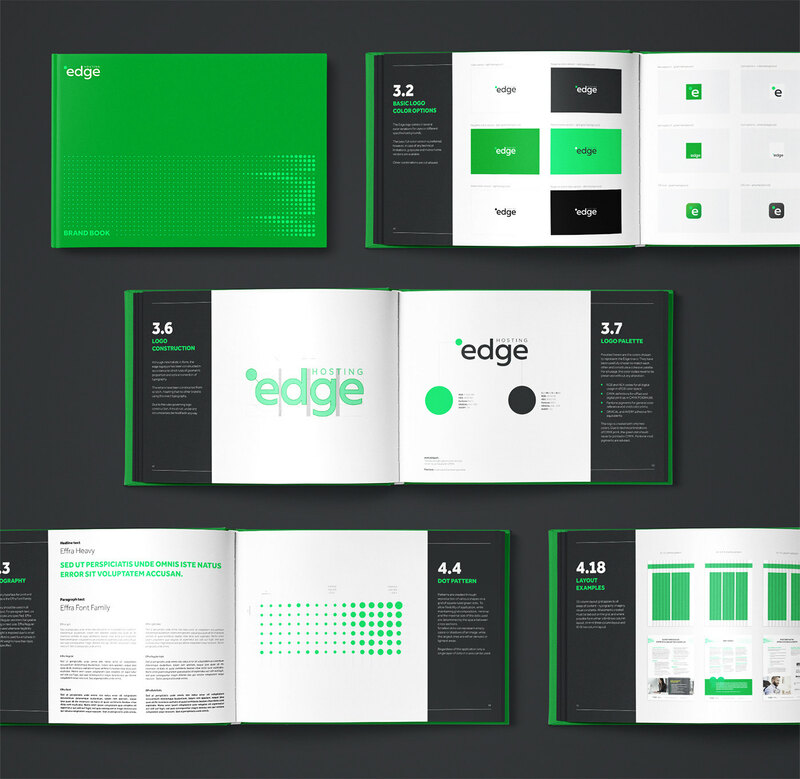 For Edge our challenge was to lose the cookiecutter approach and make the most out of their rapid successful growth; to create a brand that is a worthy competitor right at the very front of the pack. An identity does not need to carry another display of what the company does. We’ve put the old logo and all new concepts on trial and found a solution that doesn’t ignore the company’s heritage on one hand and makes it look more experienced, mature and worth much more. 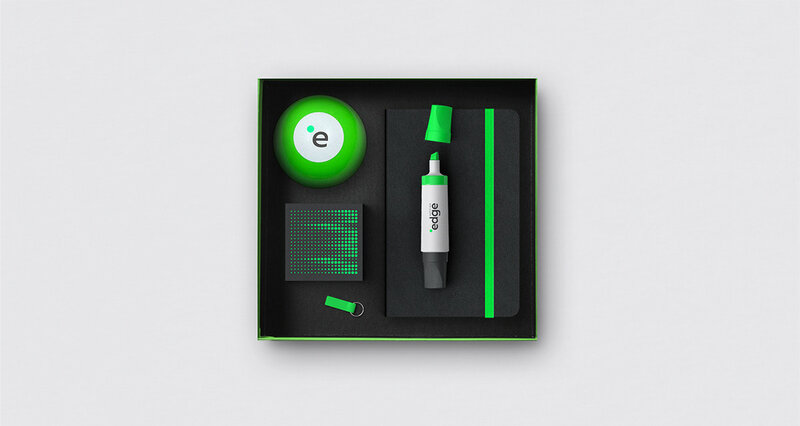 A green dot was just enough and just right for the job of conveying Edge’s values as the key element of the new logo as well as the entire identity system. 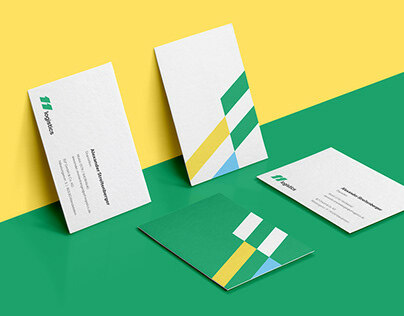 We measured the new identity’s impact through targeted surveys, which revealed an approx. 100% increase in perceived brand value. We made each and every product distinguishable by assigning custom animations to their subpages and CTAs. 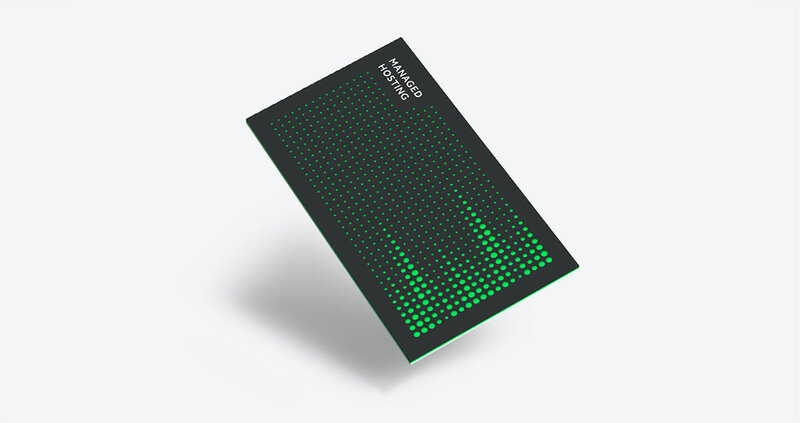 The site became alive and significantly different from all competition without sacrificing performance, thanks to the minimalistic approach to construction of the animated patterns. We helped create an independently branded blog to serve as another content-oriented tool for sharing knowledge and market insights. We couldn’t help ourselves and focused on the delightful wordplay. 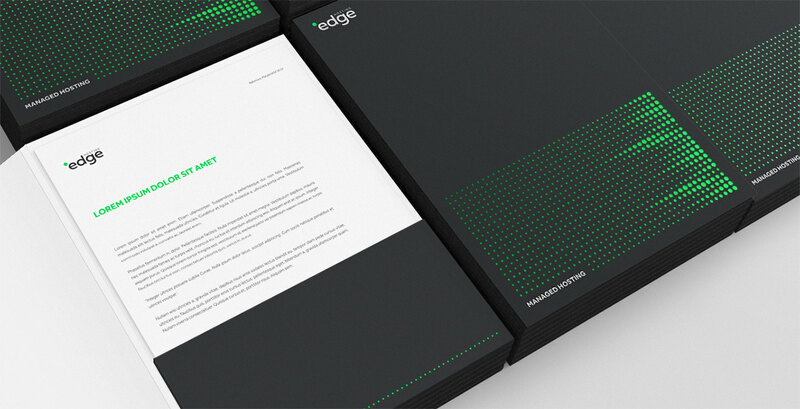 The center of Edge’s digital presence and key selling tool needed a proper revamp aligned with the new brand. We filled it with easily accessible knowledge, a glossary of difficult, hosting-related terminology and other tools that leave no room for misunderstandings, doubt or understatements. 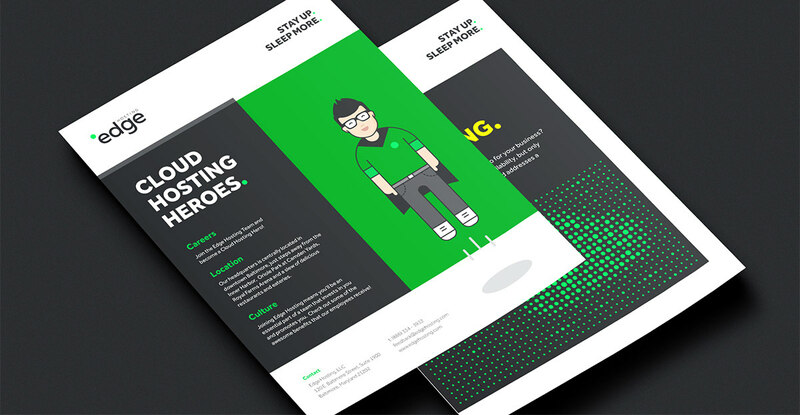 Thanks to having full control over the process, the architecture, the UX and the design became all true to the designed communication strategy. 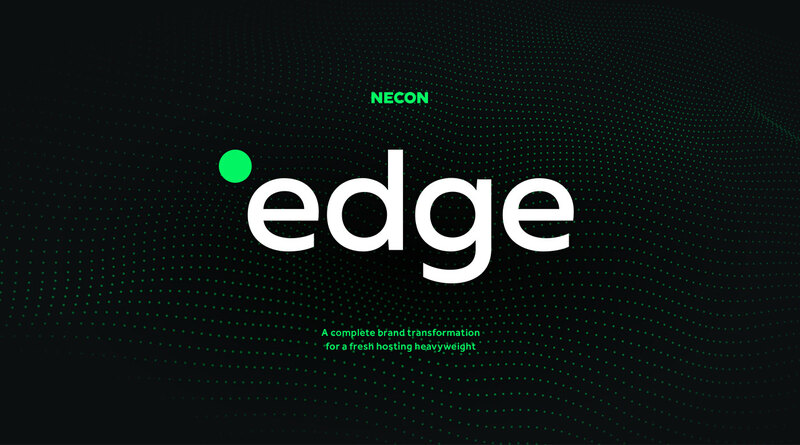 The final stage was designing the Edge User Portal, a self-service tool to even further facilitate the customer’s interactions with managed hosting. As the company grows and expands, it covers more area, caters to more people, listens more carefully and takes responsibility. Improvement of the World around as one of the key brand goals, proves the brand has the capacity to undertake tasks of greater responsibility, as well as enforcing the message of being a confident and aware partner. It works as a strong reason to believe which strongly separates the brand from the lower level companies and can immensely increase perceived company value. Studies are increasingly showing that the public are a lot more willing to trust businesses with strong and transparent CSR policies.